Lynn Clarke is Special Counsel for Bowles Rice LLP, Attorneys at Law in Charleston, WV. She has a JD from Harvard Law School and an Mst. from the University of Cambridge. Lynn currently practices in the areas of ERISA, employee benefits, executive compensation and retirement plans. She frequently speaks for civic and business organizations. 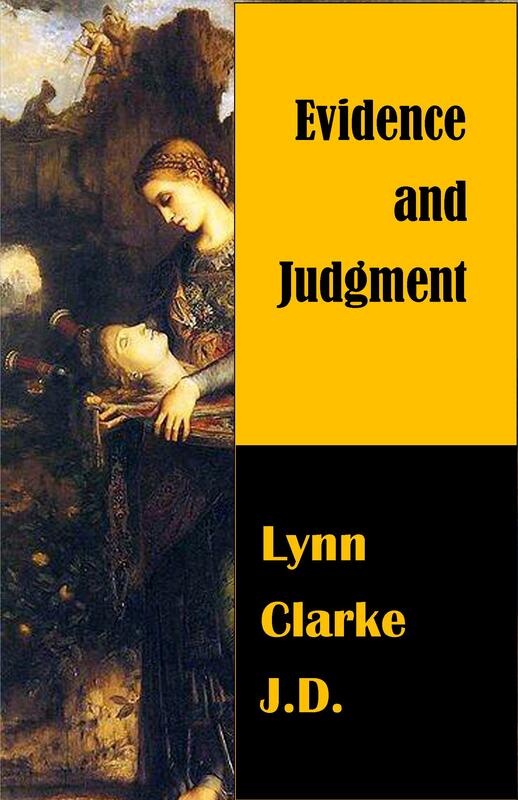 She published her first novel, Evidence and Judgment, with Anaphora in 2010. Evidence and Judgment ($19.99 – Click to Purchase in print on Amazon, or for $2.99 on Kindle, ISBN: 978-1456501167, LCCN: 2011922235, 5.06X7.81, 244pp): The story follows Jane Sidley, a thirty-one year old moderately successful attorney, from the day she makes her last alimony payment to her rat of an ex-husband to the day he becomes a hero, falling from a tenth story window while trying to stop a terrorist bomber, sacrificing his own life to save the lives of Jane and her unborn child, whose paternity is uncertain. Jane survives the ordeal and learns to love again as she finds a new man who can accept her child, even if he cannot offer her wealth. 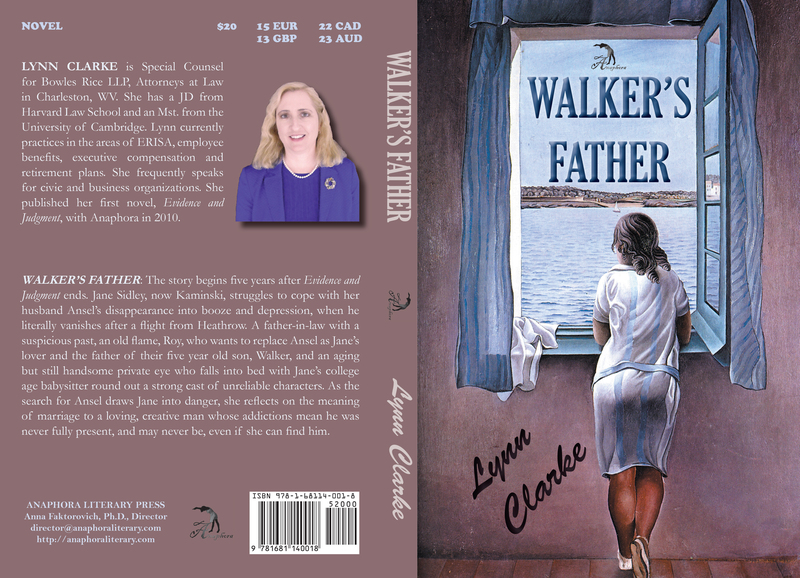 Walker’s Father: ($20, 272pp, 6X9″, ISBN: 978-1-68114-001-8, Hardcover ISBN: 978-1-68114-114-5, LCCN: 2014959363, December 2014; Purchase on Amazon or Barnes and Noble): The story begins five years after Evidence and Judgment ends. Jane Sidley, now Kaminski, struggles to cope with her husband Ansel’s disappearance into booze and depression, when he literally vanishes after a flight from Heathrow. A father-in-law with a suspicious past, an old flame, Roy, who wants to replace Ansel as Jane’s lover and the father of their five year old son, Walker, and an aging but still handsome private eye who falls into bed with Jane’s college age babysitter round out a strong cast of unreliable characters. As the search for Ansel draws Jane into danger, she reflects on the meaning of marriage to a loving, creative man whose addictions mean he was never fully present, and may never be, even if she can find him.